What is “fine art,” you may ask? The truth is anything and everything can be considered fine art nowadays. There is truly a lot of confusion as to when something should or should not be considered fine art, and the confusion extends to fine art photography. Rather than focusing on fine art photography or fine art photography techniques, we are going to focus on how selecting the appropriate material for your photography art print can take it from art to fine art. In a world with so many possibilities, there are critical factors to consider in fine art photography. 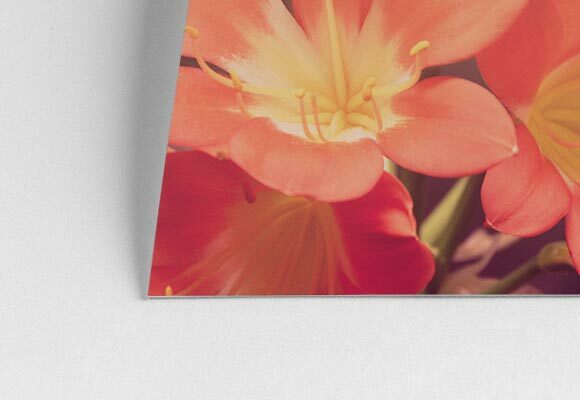 Perhaps the most important is finding a supplier you trust who offers fine art photography prints using high quality material at a good price point. Select the material that will work best with your imagery and consider the end goal. Is this meant for a specific place or person? How will this material work with the environment or lighting? 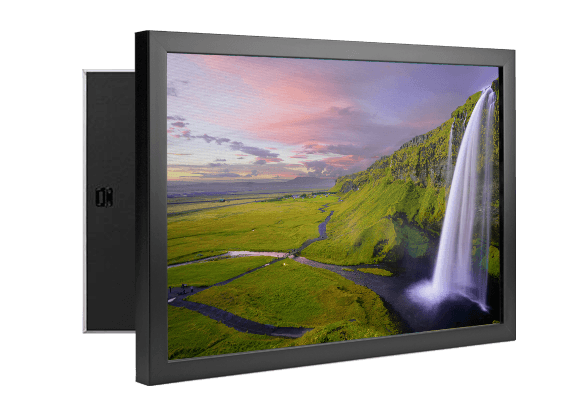 There are many high-quality products—from canvas to paper substrates to aluminum— that can take your art to the next level. 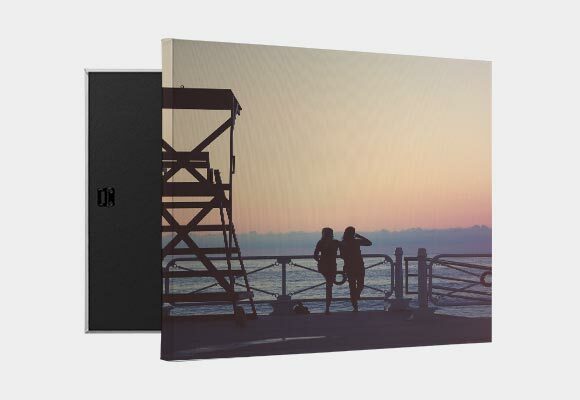 Canvas (Framed Prints or Unframed Prints) - Canvas is always a great option for photography art prints, and easy to find! Keep a lookout for words like “archival,” a type of canvas specifically meant to prevent fading. Canvas gives the work a unique texture and can be a great standalone piece. 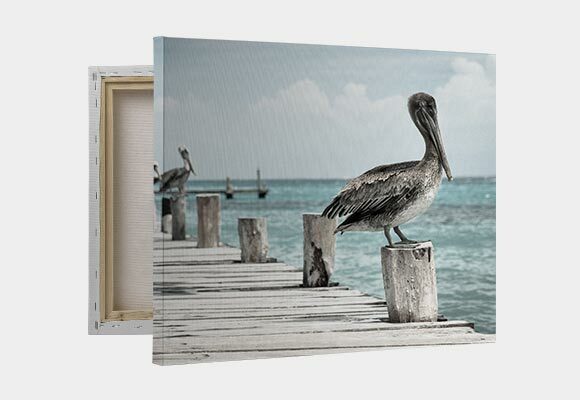 While a frame may not be necessary if you opt to wrap part of the image on the side of the canvas, it can be a great way to focus your eye to a specific element in your composition. 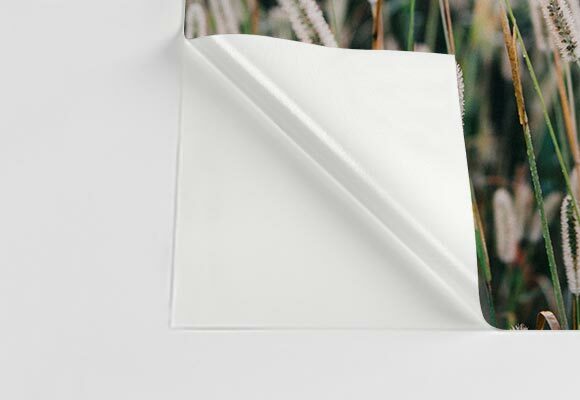 Canvas often comes in multiple thicknesses, so you will want to consider how the depth may impact the overall design. Canvas works great with virtually any subject matter! Avoid printing people from a far distance on canvases smaller than 8” x 10”, or you may have a loss of detail in the faces due to the canvas texture. Framed Fine Art Prints - A framed print is a timeless solution for displaying your artwork and it works great for a contemporary environment. Framed paper prints will always need to come with protective glazing to protect from environmental pollutants (Acrylic or glass will do). Artwork should never touch the glazing, as this can stick over time. Matting provides a great solution that allows the glass to rest on the mat, and not the print itself. Not only does a mat act as extra protection, but it can help enhance a design. 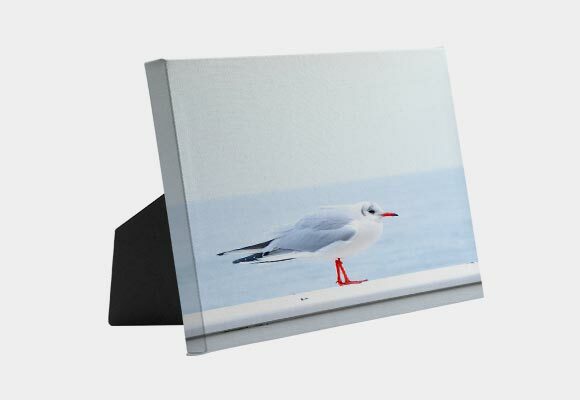 Most commonly fine art should have a neutral double mat with a ¼-inch inlay, such as white or off white. You want to avoid colored mats, as this can distract from the artwork and be seen as tacky in the art world. Choose a frame that does not overpower your work but helps focus the viewer’s eye on a specific element of your composition. Virtually any image will work with paper substrates. Metal (Aluminum) - Aluminum has a sleek and very modern feel that is becoming a more and more popular material choice for fine art every day. 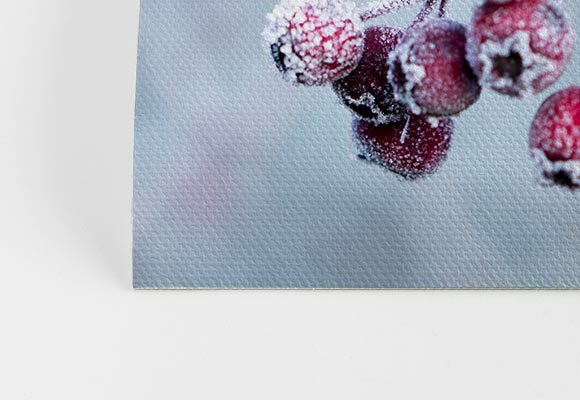 If you are looking for the crisp detail found in the best metal prints, then metal is the way to go. Metal often will be printed at a higher DPI (dots per square inch) than canvas. Detail shots and bright saturated colors hold up very well on metal. Metal can be a great way to preserve your artwork, as this is done with dye sublimation techniques, meaning the ink is absorbed into the metal, rather than resting on top. Metal can be displayed as is or it can easily be framed without glass. Car photography and nightscapes are two subjects that work extremely well with metal. After all, even cheap metal prints of cars, corner diners, show girls and streetcars offer a wonderfully nostalgic trip down Memory Lane when they feature fine art photography. Check out other fine art photographers’ websites to get some great fine art photography ideas for all the new uses of metal. As an artist, it is important to know how to select the best material for your client’s space. It is very important to have studio samples showcasing material differences for the client to see. Order the same image in each substrate to see the pros and cons of each for studio samples. 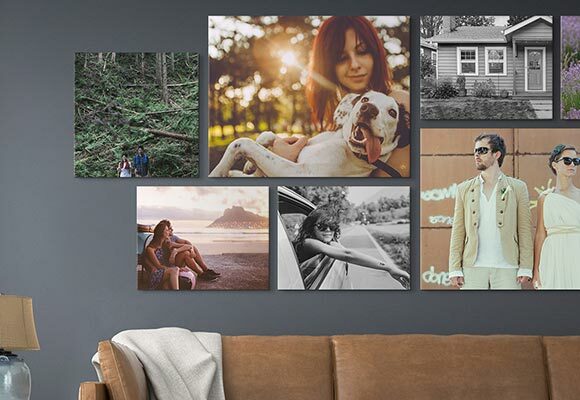 Discuss what is best with your client, but ultimately the product should be complete and ready to hang the moment they have their photography art prints in hand. 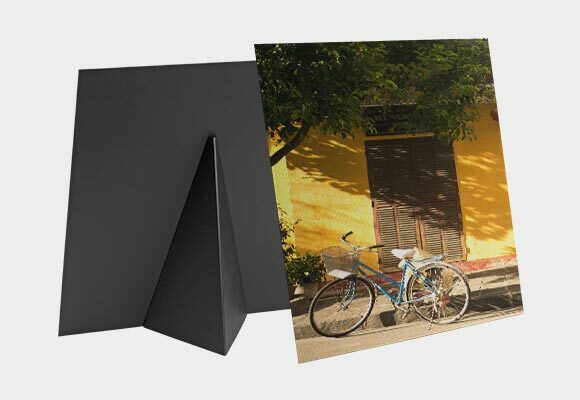 Many fine art photographers simply hand their client a stack of paper prints, and the client is expected to figure out how to best display them on their own. 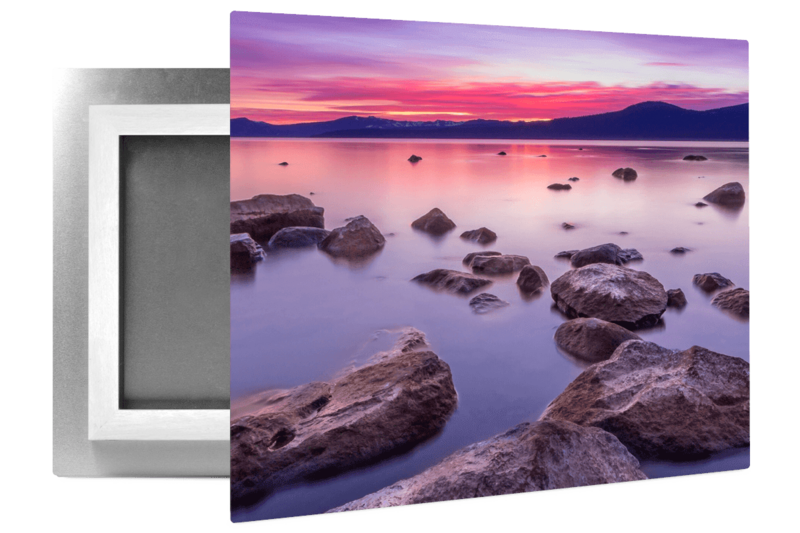 Instead, providing a complete package would be a great way to sell fine art photography prints to clients. Do you currently have anything hanging where you plan to display your art? Do you prefer traditional ornate frames, or simple and clean frames? How much space do you want the art to take up? How much light does your space get (indoor or outdoor)? 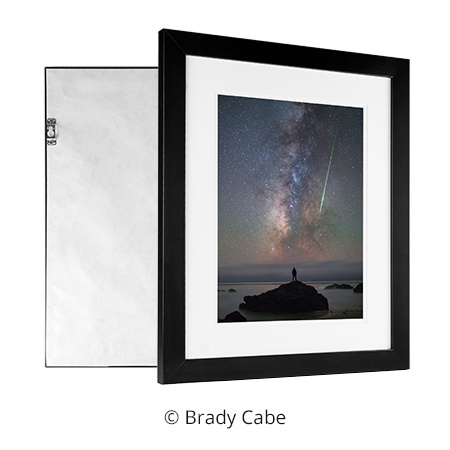 The answers you get will guide you, and let you know if your client would be happiest with custom framed prints, custom metal prints or simple framed prints that incorporate stock framing. 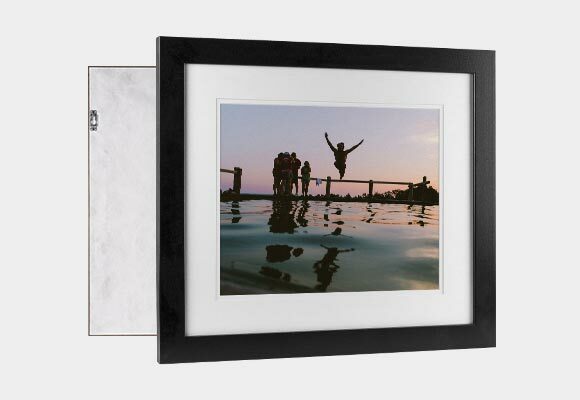 They may opt to display commercial photography on stretched canvases without a decorative frame. In the end, your job as a purveyor of fine art photography is to make your client happy by completing a space with meaningful fine art photography prints.